Certified Registered Nurse Practitioner, Jessica DiSante enjoys taking a whole body approach to helping others. She likes the fact that chiropractic looks at the big picture instead of focusing on just one area. 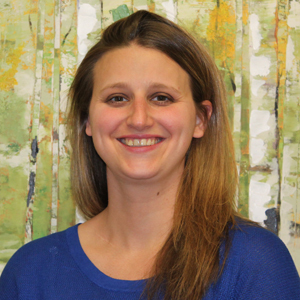 Jessica enjoys seeing patients at South Hills Physical Medicine get back to normal as soon as possible. Born and raised in the South Hills, Jessica earned a degree in exercise science from Slippery Rock University in 2008. She went on to obtain a nursing degree from Robert Morris University in 2010. After graduation, she worked as a nurse at UPMC Presbyterian on a cardiology floor. As I was a bedside nurse previously, I like that I can maintain close patient contact at South Hills Physical Medicine. Jessica continued her studies and became a Nurse Practitioner by entering a Doctor of Nursing program and completing her doctorate in May 2015. When she’s not at the practice, Jessica loves to travel and particularly enjoys going to the beach. She also spends her time with family and friends and likes to go to the gym. Basketball has been a big part of her life, as she played in high school and some in college. If you’re ready to optimize your health, call (412) 885-3533 today to schedule an appointment!